The main things on my mind that I want to make happen this year are re-discovering my love of blogs. I have hardly read any blog posts for the last 6 months or so. I've known SO many people who've become pregnant over the last 2 years and while I am happy for all of them and still want to be aware of what's going on in their lives, I don't always want to read about baby related stuff. As I don't know when there might be such posts, I tend to avoid blogs altogether and just concentrate on my own writing and other distractions. The problem with this is, I miss the other stuff too, inspiring stuff, fun stuff and just being plain nosy about what's going on in other people's lives! I'm trying to be less sensitive to reading about other people's happiness. It's not that I want people to be less happy, PLEASE don't think that! I basically need a bit of an attitude adjustment and rather than comparing my life to others' and thinking about what I'm missing out on, I need to think about the good things in my life and get out of self-pitying mode. I need to stop being so wrapped up in either the bad stuff or keeping myself distracted with dozens of projects and take some more time for others this year. Like I said, I'm trying to be more positive and not dwell on the negative things we faced last year. I want to be able to read about people's fun with their new families without feeling jealous. I also want to comment on other blogs more! I love receiving comments here but am very bad at reciprocating and commenting on the blog posts I do read elsewhere. Since I have been eating more healthily again (with the exception of Christmas week and now prepping for my colonoscopy) I have been feeling generally better and happier so I definitely need to keep it up this year and not let myself sink into any slumps. 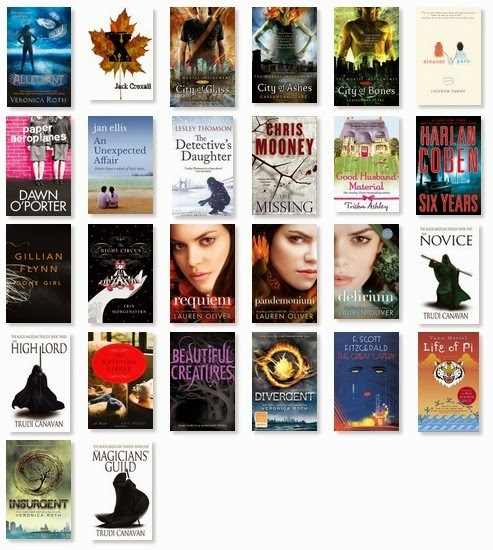 I failed in my reading challenge last year so will be aiming for 40 again this year. 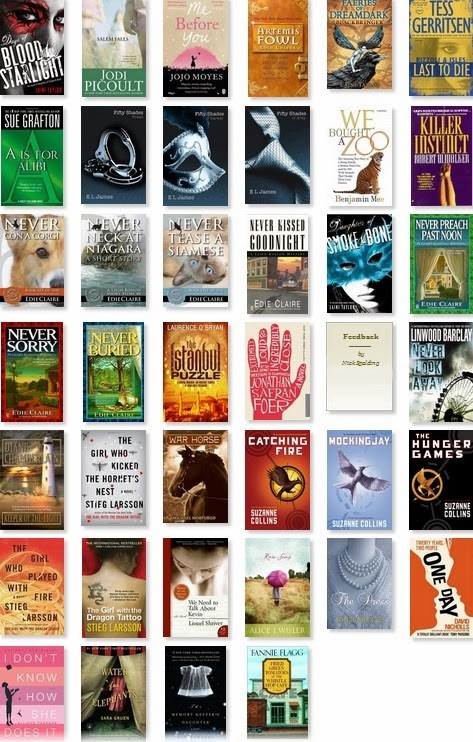 I read 40 books in 2012 but only 27 in 2013. With such a massive and constantly growing list of books to read I need to keep up my reading if I want to get through them all in this lifetime! Apart from our infertility, I've also been stressing about moving this year but with both of these things, there's not much I can do to affect the outcome so there's no point getting all het up about it. 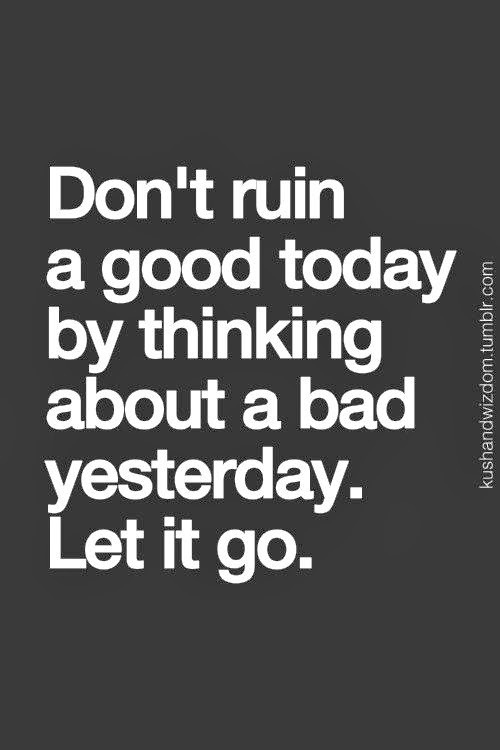 Easier said than done but it's worth trying. Do you make resolutions? Any tips for trying to stay positive and not think too much? Any other resolutions you would recommend to help with my new start and new attitude? I'm right beside you on so many of those resolutions. I was reading the 5th Game of Thrones book when H&C were born and I'm still reading it now almost a year later so don't be too hard on your 27! 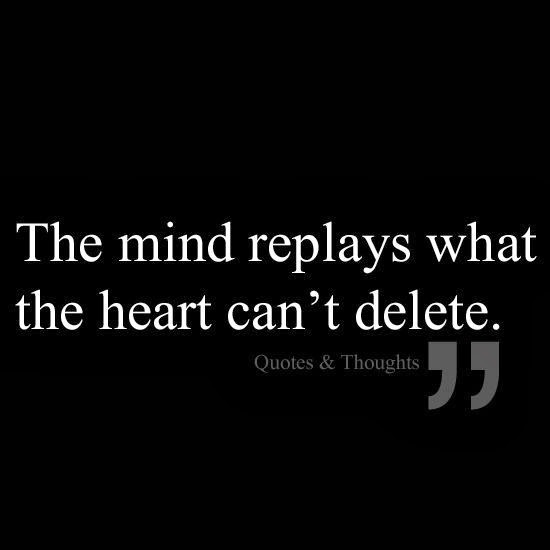 As to being more positive and thinking less someone once told me to be more mindful of my subconscious voice. A lot of the time you will say things to yourself internally that are WAY more harsh than you should. Try to reword it as you would for a friend (you'd never call your friend and idiot but I bet you've called yourself one!) and slowly but surely your voice will become less critical and more your personal cheerleader! 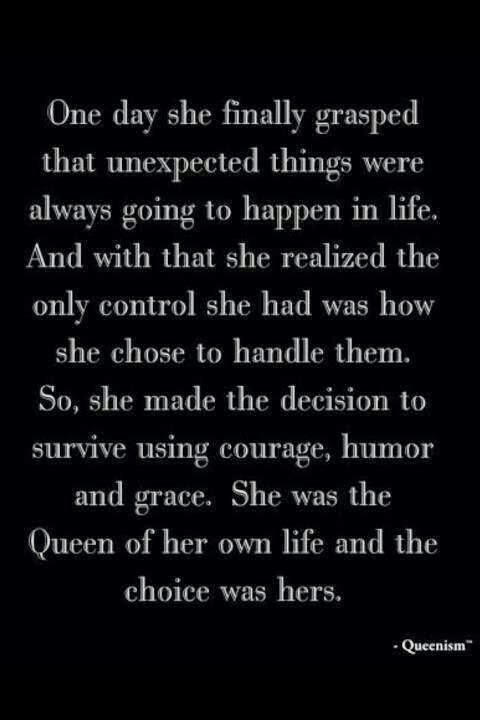 Lovely post Bex, very inspirational. 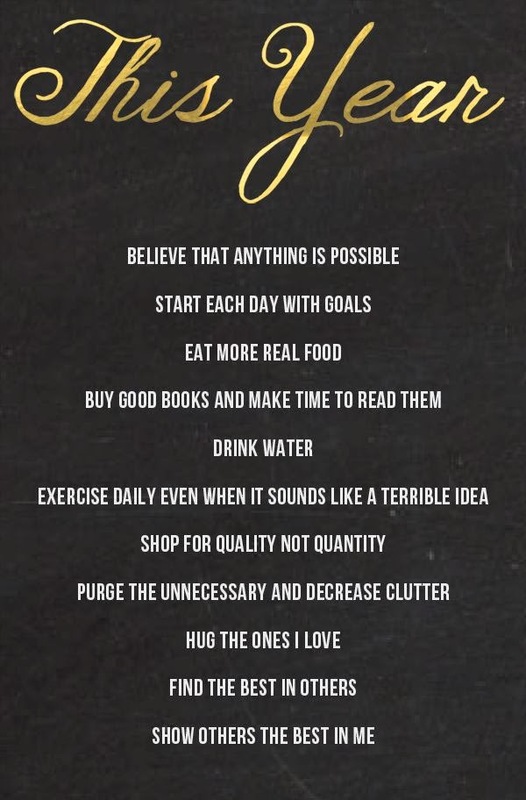 Great list of resolutions and remembering the good and letting the bad go is definitely one that I need to practice in my own life too. Second Steff's comment about your subconscious voice. Also in terms of the worrying, I have recently experienced a massive anxiety relapse and the onl thing that helps my brain stop whirring at the moment is 10 minute daily meditation using the HeadSpace app, sounds slightly out there but honestly, I wouldn't be sleeping at the moment without it. You're in control of your head, you can learn to take that control. 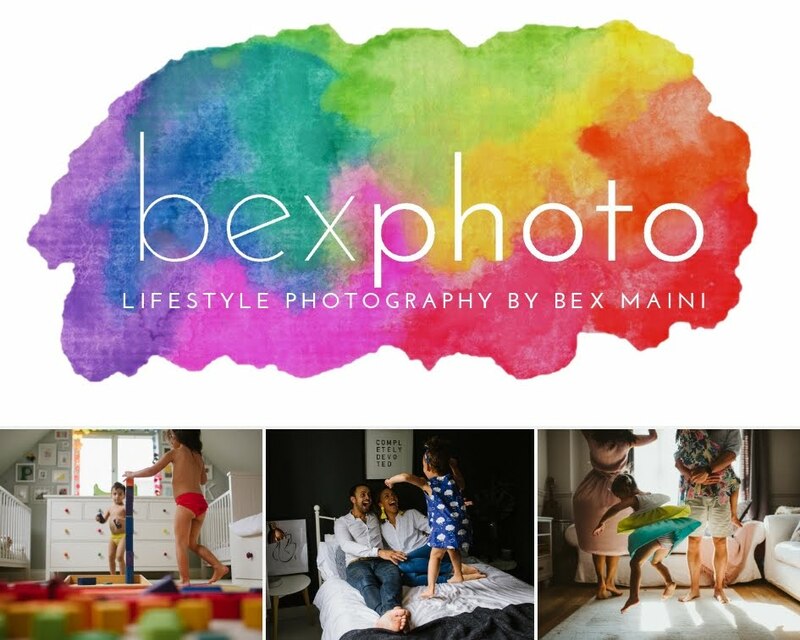 Great post Bex! 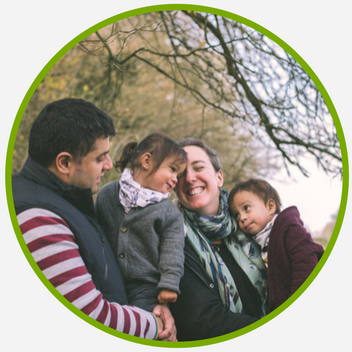 I'm up there with commenting on blogs more :) and being happy for other people and the good things in life rather than focusing on my own fertility journey. I know loads of people don't like resolutions because they think they fail but (as you knoxw) I love making them - they bring such a sense of optimism and positivity to the new year. And if I don't manage them all I don't sweat it - it's not another stick to beat yourself with! When I think a lot because I'm stressing about something, I find I just need to give myself the time to think freely on it without being distracted. Long walks help - maybe riding in your case, or I think when I swim too. Anything I can do on autopilot basically. If I don't do that I end up waking up early and enjoying the time to think but getting tired. Also very impressed with your reading. I have managed only a few this year and wish I read more - must try harder. I know what you mean about blogs and LIFE. My way of coping has been to try and find one new creative thing that I can stick at and really become better at. 2012 was floristry. 2014 is going to be the year that I learn to knit. Like Rebecca said above, its something I can do where my mind wanders and I'm not really thinking (but I find it more relaxing than swimming or running in a pool full of people who are desperate to get in, get out and make it to work etc etc). I guess ultimately, its about taking my mind off my life and doing something COMPLETELY different from my 9-5pm. 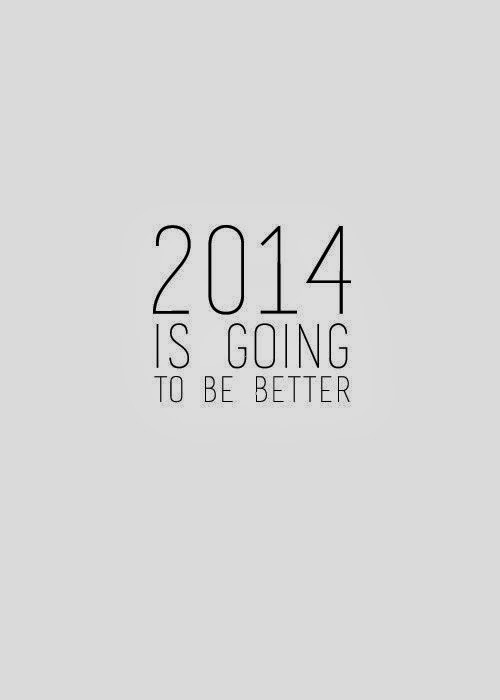 2014 is definately going to be a awesome year....I can feel it. I actually pinned your 2014 is going to be better pin and have it as my long facebook profile pic thing because it most definately IS. Love this post and your resolutions, mine are much the same! I am so guilty of being a worrier and overthinking things, so i'm going to try my best to look outwards and focus my energy on productive and fun things to make the most of this year! I think my husband wishes I would resolve to read LESS - I always have my nose in a book! I think your resolutions sound very motivating and uplifting - not negative as resolutions so often are. I wish you joy in January and throughout 2014.